Clean, classic lines lift these slides to the forefront of style. 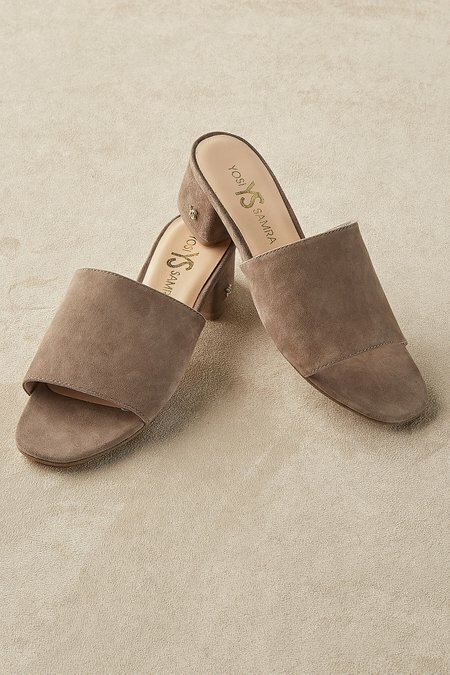 Soft suede with open toe, padded footbed and wrapped block heel, they're comfortable, versatile and transitional. 1-3/4" heel.